Yes, but you liquidate one company (ltd - this means limited liability - so directors are not personally liable for the company debts), transfer (sell) the assets, with the assistance of a liquidator, including the trading name (brand), to a new one and carry on trading under a subtly different parent company, sometimes with relatives as directors. Sports Direct is a classic with stuff like this - Slazengar, Dunlop etc. 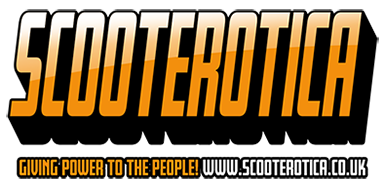 There's plenty of examples in the scooter world too, Supertune, Wildcat etc. Company law and the much vaunted 'deregulation' is a play ground for all sorts of schiesters to play fast and loose with their creditors and carry on trading. Absolutely spot on in my business we had an agent within the business(not our agent) who kept doing exactly the same, his agency was liquidated at least 3 times and all he did was change 1 letter each time(the i for a y) so it appeared like it was the same company but left his creditors stuffed each time.He kept trying to get us shows but i knew what he was like so told him to f**k off he even tried getting a 3rd party to book us but i was wise to him.Eventually nobody would use him so he actually went out of business. If customers just keep using these people they'll always get away with it but if people decided to boycott them because of previous actions then it will be them that suffer as they can't sell any product.Trouble with that is people won't do it they'll just keep ordering keeping them in business,maybe suppliers should stop supplying them if they have previously liquidated they're not stupid to know who they're dealing with but heyho they'll won't do that either. Interesting addition to the beedspeed article on SULK.. Company wound up with debts of over 300k and a new company formed. Cheeky. They never have any normal parts in stock and refunds had to threatened by charge back via CC.